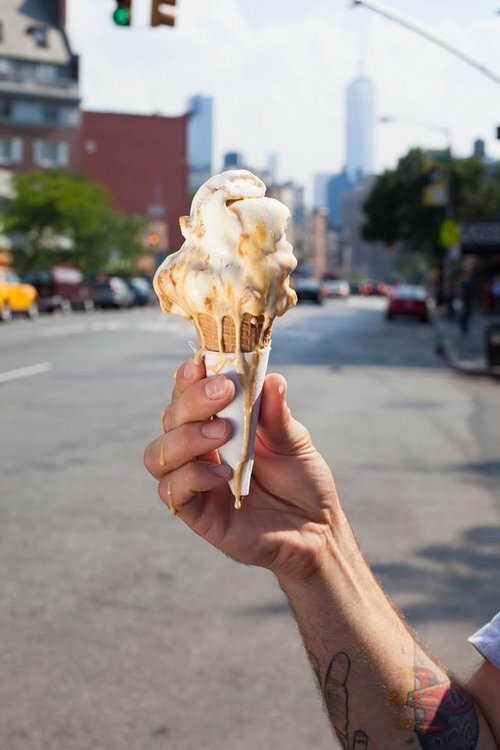 - My 2015 FavoritesManhattan Inn If I had to pick the ONE fried chicken that just totally blew me away, this would be it. I can't believe none of the food media people wrote about this. Forget fuku, forget Root & Bone, forget everything...just go here. 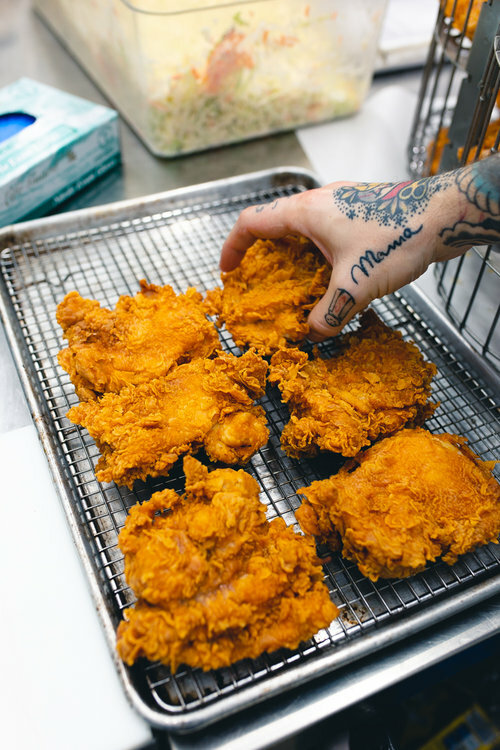 - Places Food Media People Are Not Talking About But Really Should All of these places serve EXCELLENT fried chicken yet I have never seen any of these places in any fried chicken lists. Manhattan Inn - See above J'eatjet? - I hate sausage gravy but the one served at J'eatjet? changed my mind. Egg - Looking for something simple and delicious and just a solid plate of fried chicken? Ma Peche - Yes, the food media loves David Chang and gets load of press but people mostly talk about the fried chicken dinner at the noodle bar and fuku. The habanero fried chicken at Ma Peche is crazy good and should be getting a lot more press. 44 & X - I had low expectation for this place but it surprised me. Marietta - Peaches HotHouse, the sister restaurant, gets most of the love because of their Nashville inspired hot chicken but Marietta does a better job. Yafa Deli - Anyone that loves fried chicken, knows about Yafa Deli but I rarely see it on any "Best Of" lists. Broadway Bakery - Feeling nostalgia? The fried chicken here tastes just like old school Kentucky Fried Chicken. Sidecar - A solid plate of fried chicken at this local Park Slope spot. 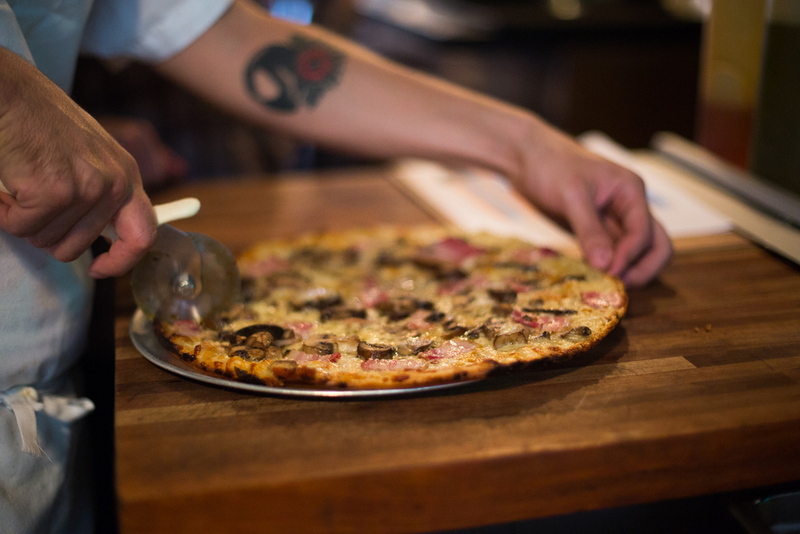 After taking a bit of time off, Adam Kuban stepped back into EMILY for his bar pie pizza pop-up, Margot's Pizza. I went and spent a good few hours in the kitchen with Adam, Emily, and Matt as they prep for the pop-up. I love brunch but I can't stand the crowd or having to wait for a table. But yesterday, we decided to do a potluck brunch with a smorgasbord of delicious foods. I brought slices of pies from Four & Twenty (of course), chopped liver, and some Hungarian salami which had sweet paprika and pork. Other people brought bagels and spreads, mixed berries, cherries, avocado spread, beers, gin & tonic, juice, hash brown, eggs, veggies, croissants, bacon, and turkey sausages. Yum!